Stylish curved and compact modernist design, with a rectangular wall mount and polished chrome slash-cut curved fascia. The wall light contains 5w of cool white LED lamps, that shine through the opal diffusers at the top and bottom to wash the wall above and below with light. 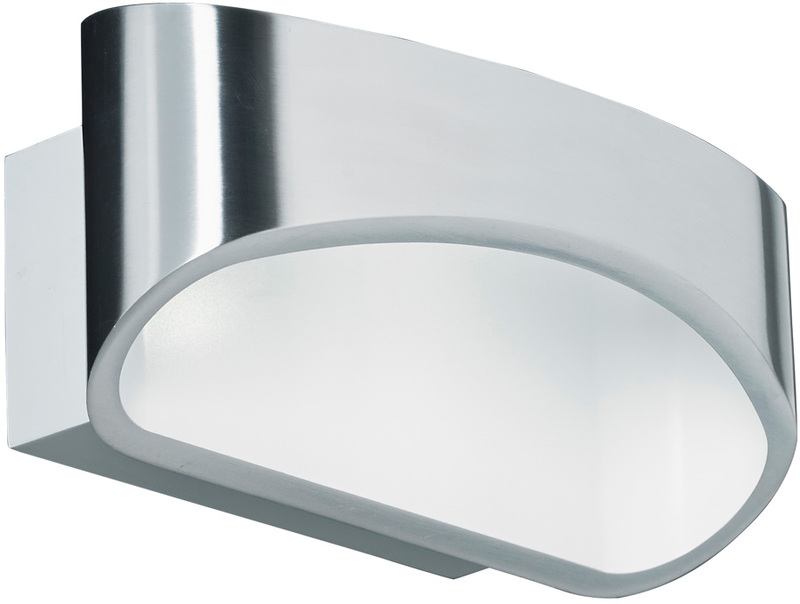 The Johnson modern energy efficient LED wall washer finished in chrome. A stylish low energy alternative that uses just 5w of electricity, yet gives 460 Lumens of light. Non dimmable LED lamp lifetime approximately 30,000 hours.